Beautifully written post. It is the hard part about owning pets: realizing that they're mortal. 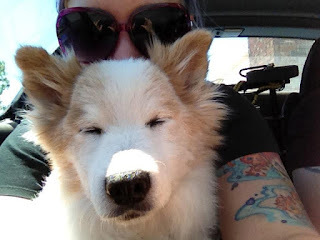 When my first dog (who was ancient, with hip problems) had to be put to sleep -- I was a brave little mess. I think I was five. He was the only dog I'd ever known. I cried. A lot. It is, I guess, the price we pay for the awesomeness of having them in our lives.